If you are looking for developing a mobile app for your business, it becomes essential to find an expert mobile app development company or mobile app developers who comprise ability to convert your innovative idea into a successful business application. Developing a fresh mobile app is indeed a difficult task, especially, when you need to start it from scratch. If you need to hire a mobile app development company or a developer, there are certain factors that you never underestimate it. You should consider certain aspects when you hire an outsourcing mobile application development company as shown below. Ensure Expertise & Experience – Before you decide to select any company, you should ensure about the expertise and experience related to the requirement of your project. You should make certain about their ability in proffering services for development of mobile apps using different platforms. Is the company having a team of designers, developers and marketing professionals to offer you complete services under one roof? If you are also looking for marketing your app, you should find a company who offers comprehensive services for all your needs. Do the company is capable to develop an app using the platform you are looking for? 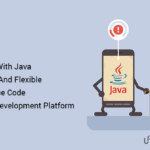 For instance, an iOS developer need for an iOS app development or an Android developer require for an Android App Development. You can check the portfolio of the company to know their clientele and also checks their social networking activities to know the reliability of the company. You should also ensure that the company has the infrastructure and communication facilities to proffer efficient services and stay connected during the entire project development process. It becomes very important for the company to have sufficient resources to handle your project successfully. Ethical Work Approach – You should make sure about the ethical practice of the company in order to stay updated about all activities at the each stage of app development process. Moreover, you should also know about the complete cycle of the project development. It becomes essential in order to prevent any bug during the app development and make it seamless. Your mobile app developer should have enough capability to understand your project need as well as good communication skill. Security – The most important thing to consider is the security of your innovative app idea and information of your product, service or company. You should make an agreement or get assurance from the company regarding the complete security of your valuable information. To select the best mobile app development, you should also make sure about the development cost, payment terms, service and support as well as app maintenance cost before hiring a mobile app developer or a mobile application development company. UNIPATH SOLUTIONS is a highly professional and expert mobile app development company offers hi-end and affordable services for developing business mobile apps. Contact at sales@unipathsolutions.com for more information.